All of Pheasants Forever’s wildlife habitat conservation work is beneficial to the public, but our work on publicly-owned and publicly-accessible land goes a step further and is incredibly valuable to wildlife and those who enjoy it. In North America, natural resources and wildlife on public lands are managed by government agencies to ensure that current and future generations always have wildlife and wild places to enjoy. Since the organization's formation in 1982, Pheasants Forever has put a priority on acquiring lands that are critically important as wildlife habitat and opening those lands to public hunting and outdoor recreation opportunities. Pheasants Forever has participated in more than 1,522 different land acquisitions totaling more than 190,000 acres. 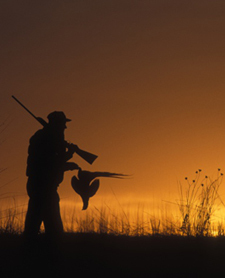 Those land acquisition projects have been completed in conjunction with local, state, and federal natural resource agencies, and all the projects permanently protect habitat that is open to public hunting. Many of the wildlife habitat projects completed by chapters of Pheasants Forever involve managing or restoring habitat on existing state Wildlife Management Areas (WMA) or federal Waterfowl Production Areas (WPA). Managing existing public lands, in many instances, offers the best opportunity for immediate habitat and upland bird gains. 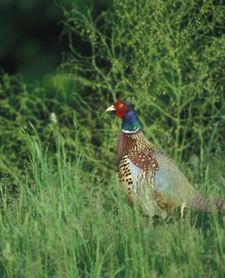 Chapters of Pheasants Forever restore prairies through new plantings, perform prescribed burns to rejuvenate prairies, add shelterbelts for winter wildlife habitat cover, and more. 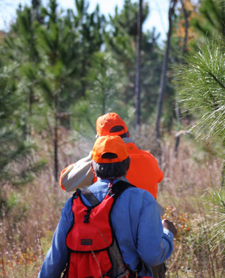 Seventy-five percent of Pheasants Forever members rate habitat preservation on public land as a main benefit of belonging to the organization. Pheasants Forever works at state and federal levels on programs that make private lands accessible to the public—programs that also have wildlife habitat management components. On the federal level, this included pushing for the creation of the Voluntary Public Access (VPA) program to increase funding for state-level programs. This Pheasants Forever program lets you contribute directly to land acquisitions that become managed wildlife areas open to the public. The seven states that currently participate in the Build a Wildlife Area program—Illinois, Iowa, Kansas, Minnesota, Ohio, South Dakota, and Wisconsin—have helped create more than 11,100 acres of new wildlife areas. Each $1 raised through this program is turned into $3 or more through matching grants. Donate today!